Melissa is a native of Spring Lake who moved away just long enough to get her education and training. 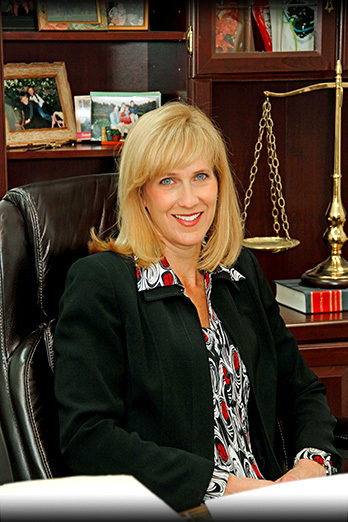 Since graduating from law school in 1991, Melissa has been practicing law here with her husband, Robert. Melissa focuses in the areas of estate planning, elder law, real estate, business and corporate law, and divorce and family law. She has served on various boards over the years, including the North Ottawa Community Health System, Hospice of North Ottawa Community, Tri-Cities Learning Center, Spring Lake Rotary Club, Spring Lake District Library Fundraising Campaign, Turning Pointe Donkey Rescue, and Spring Lake Presbyterian Housing Corporation. Currently, Melissa serves on the Spring Lake Schools Foundation Board. Rob and Melissa have two amazing children, Robby and Riley. Robby is currently a freshman at Michigan State University and Riley is a sophomore at Spring Lake High School. Together, the family enjoys downhill skiing, boating, and shooting. Melissa has a special passion for horses, and spends much of her free time riding and showing horses.